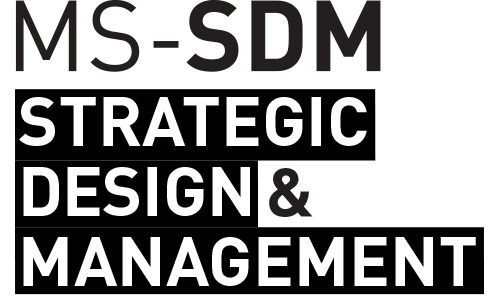 One day when I was browsing through the Strategic Design & Management group on Facebook, a post on the Service Design Conference immediately grabbed my attention. I feverishly looked through the conference schedule and fell in love with it. The guests speakers were the people who are working in my dream companies. I mentally noted down the workshops or talks I would attend and proceeded to the registration tab. And there crashed all my dreams. The registration fee for students was $300 and there was no way I could afford to pay that much for a conference in spite of its exciting schedule. Disheartened, I continued with my work. Just when I thought I was missing out on a great learning experience, I see another post on the very same group calling for volunteers to help with the execution of the conference! And there was my ticket to experience not just the facade but also the behind the scenes of the conference. So I quickly sent across an email showing my interest in volunteering. While I was awaiting a reply from the organizers, I researched in detail about the conference, the Service Design Global Platform and the speakers who were coming down for the SDGC15. After few days of waiting I get an email from the organizer asking me to fill up spots I would be interested in. The two day conference had opening talks and then workshops or panel discussions that took place in parallel over the day. I registered for two workshops and a talk that spread over the two days. I volunteered for ‘Communicating the value of service design to government’, a talk/workshop by Lulu Mickelson and Lauren Currie. I learnt about the challenges designers face while communicating their ideas to government officials and limitations that exist due to the policies. The workshop had participants take up different roles of a government adviser, a designer, the public and enact the whole process of designing a service. The afternoon session I volunteered for was a capacity building panel discussion which mainly focused on the social impact of service design. Speakers gave examples about their work in third world countries and how it affected the local ecosystem. For example, a product in the area of healthcare, which created a feedback loop between the user and the funding organization made sure the medical assistants (the middlemen) were available 24/7 to the users. Day two of the conference, I volunteered for a panel discussion on ‘How to sell Service Design’ which mainly dealt with the importance of reevaluating and redesigning the business models in accordance with the multiple factors that contribute to it. Later that day I got to take part in a workshop by Frog Studio. This was the icing to my cake. The workshop mainly concentrated on reinventing the ecosystem and how by exploring and innovating within an ecosystem, one can lead to multiple opportunities for growth. The main theme was to reinvent the ecosystem of the electric vehicles industry. All the participants were made to divide into groups with a core concentration of an manufacturer or retailer or supplier etc of electric vehicles. Our team, the Retailers, brainstormed about the various aspects we could strategically merge together into one entity in order to maximize our profits. In the second round, we were put together with the manufacturing team and the two teams had to come up with one brilliant idea and pitch it to the crowd. The best one with the highest tweets wins! Our idea of ‘Dynamic Customization’ which lets the customer design his/her own body of the vehicle was a huge hit. Like the KrispyKreme displays it’s process of freshly made doughnuts on a conveyor belt, we wanted to showcase the process of building up a vehicle on a conveyor belt which the customer experiences! Coming up with such fun and intriguing ideas in under an hour while working in teams of over ten people was an extremely challenging and exciting experience. Volunteering for this conference also exposed me to the execution and planning that goes into organizing such a large scale event. I faced many challenges when it came to coordinating with speakers and co-volunteers, updating program schedules and directing the participants to respective venues. I understood the importance of micro-planning and efficient coordinating. Overall, I was more than thrilled to get an opportunity to volunteer and learn from such an exciting experience. I made friends from different nationalities pursuing varied courses and networked with professionals from across the fields. Looking forward to more such learning opportunities!